CHRIS PURVIS PT, ATC, MS, CSCS is a native of Baton Rouge, Louisiana. He received his Bachelor of Science degree in Physical Therapy from LSU Health Science Center in Shreveport, Louisiana in 1989. In 1994, he received his Athletic Trainer Certification (ATC) from the National Athletic Trainer’s Association, and in 1995 received his Master of Science degree in Kinesiology/Exercise Physiology (Cardiac Rehab curriculum) from LSU in Baton Rouge. He was certified through the National Strength and Conditioning Association as a Strength and Conditioning Specialist (CSCS) in 1993. He is also certified through the American College of Sports Medicine as a Health/Fitness Instructor (HFI) and by the Aerobic and Fitness Association of America (AAFA) as a certified personal trainer. Chris’s primary interests are in rehabilitation of both general and sport specific orthopedic conditions especially to the shoulders, elbows, knees, and ankles. 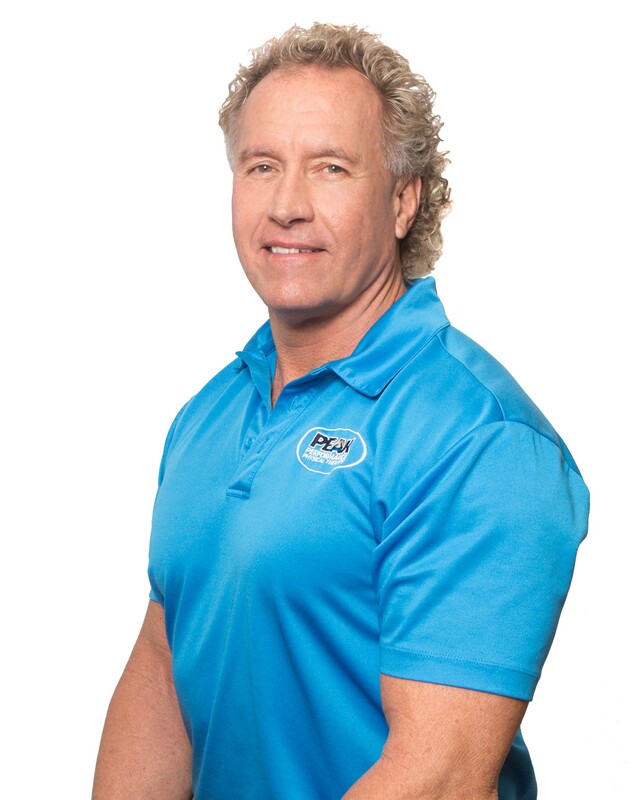 He enjoys using his certifications in strength and conditioning to promote fitness and wellness training in order to improve health, wellness, and overall quality of life. Chris has been a member of the American Physical Therapy Association (APTA) and the Louisiana Physical Therapy Association (LPTA) for more than 25 years. Her serves as a Medical Wellness Advisor for the Medical Wellness Association (MWA) and is also a member of the International Health Racquet and Sport Club (IHRSA) and the Medical Fitness Association (MFA) and the American College of Sports Medicine (ACSM). Fabian Roussel, MS, PT, ATC is a native of Baton Rouge, Louisiana and a graduate of Broadmoor High School. He received his Bachelor of Science degree in Physical Therapy from LSU Health Science Center in New Orleans, Louisiana in 1989. He received his Master of Science degree in Kinesiology/Exercise Physiology (Cardiac Rehab curriculum) from LSU in Baton Rouge in 1995. 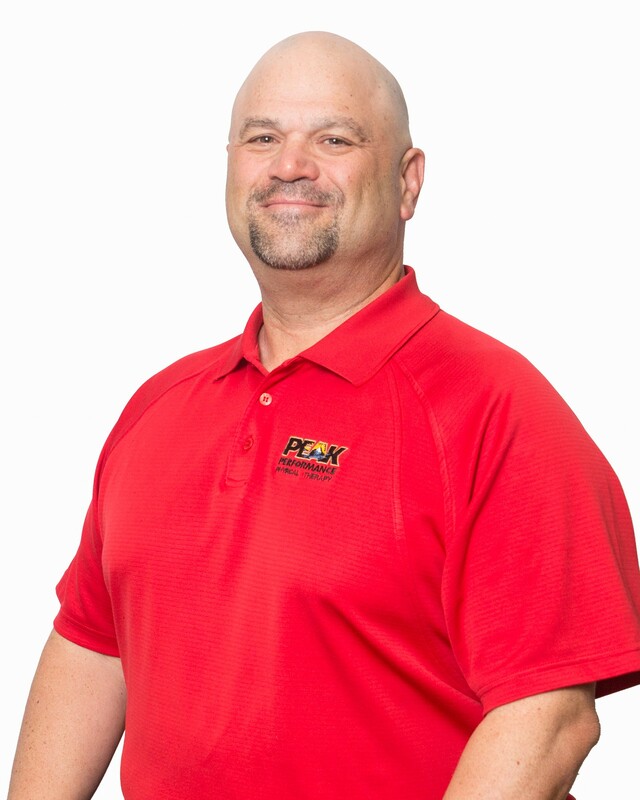 He is credentialed by the National Athletic Trainer’s Association and the Louisiana Trainer’s Association as both a national and state Certified Athletic Trainer (ATC). He is also certified through the American College of Sports Medicine as a Health/Fitness Instructor (HFI) and by the Aerobic and Fitness Association of America (AAFA) as a certified personal trainer. Fabian’s primary interests are in treating a variety of orthopedic and post-operative conditions. He also has extensive experience with sports rehabilitation and has treated numerous elite level/professional athletes. He is a certified ASTYM system provider. He is also trained in Level 2 of Therapeutic Dry Needling technique through Kinetacore. Fabian is a member of the American Physical Therapy Association (APTA) and the Louisiana Physical Therapy Association (LPTA). Scott A. Dickie, PT, DPT, COMT is a native of Thibodaux, Louisiana and a graduate of Edward Douglas White High School. He received his Bachelor of Science degree in Biology from Nicholls State University in 1986. He received his Bachelor of Science degree in Physical Therapy from LSU Health Science Center in New Orleans, Louisiana in 1993. In 2007, Scott completed his post graduate Doctorate of Physical Therapy degree from the Ola Grimsby Institute when he successfully defended his dissertation. 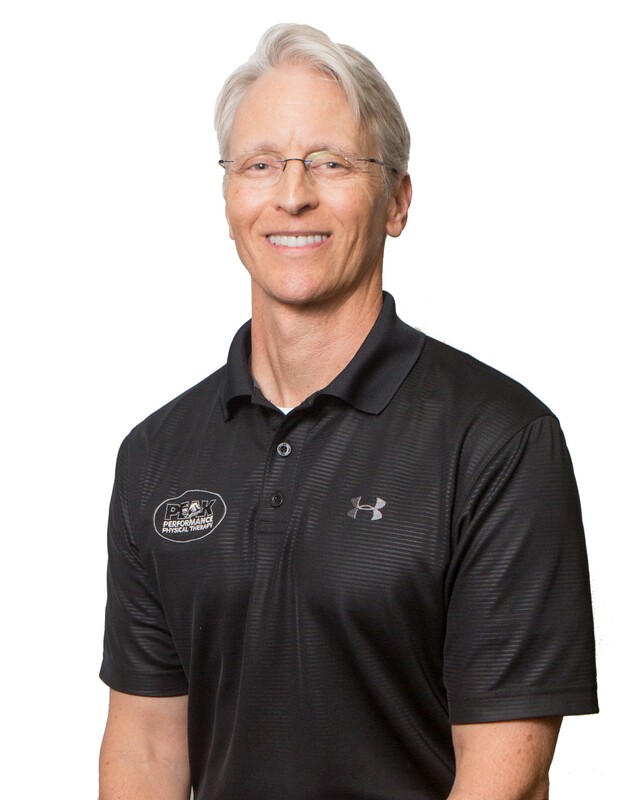 Scott’s primary interests are in manual therapy of the spine and extremities as well as performing Functional Capacity Evaluations (FCE), utilizing the Blankenship System since 1996. 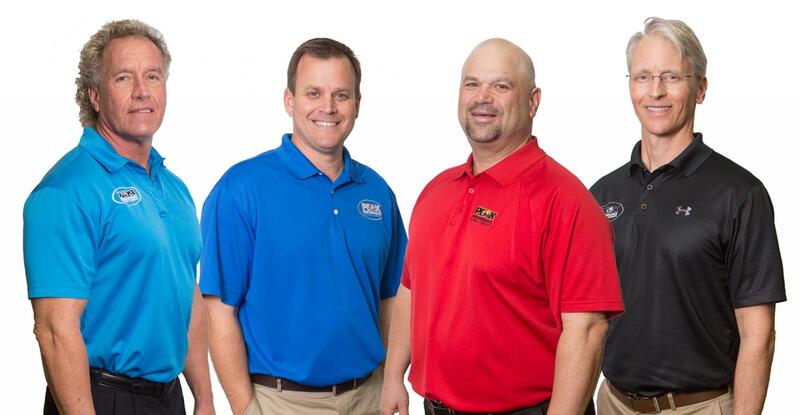 Scott is a certified ASTYM system provider. He is also trained in Level 2 of Therapeutic Dry Needling technique through Kinetacore. His number one goal is to return patients to pre-injury status. Scott is a member of the American Physical Therapy Association (APTA) and the Louisiana Physical Therapy Association (LPTA). He has been involved in the LPTA workers compensation legislation over the past several years. Scott enjoys golf, traveling, reading, and spending time with his family. Jason Greene, PT, MPT, OCS is a native of Maringouin, LA and is a graduate of False River Academy. He received his Bachelor of Science degree in Kinesiology from Louisiana State University in 1998. He received his Masters of Physical Therapy degree from LSU Health Science Center in New Orleans, Louisiana in 2000. He began working with Peak Performance in 2002. In 2010, he became Board Certified in Orthopaedic Physical Therapy through the American Board of Orthopaedic Specialties. He also received his certification in golf fitness instruction from the Titleist Performance Institute in 2008. Jason’s primary interests are in orthopaedics, sports medicine, manual therapy, shoulder and knee rehabilitation, spinal mobilization and stabilization, postural assessment and correction, pre and post surgical rehabilitation, and golf fitness screening and conditioning. Jason is a certified ASTYM system provider. He is trained in the Therapeutic Dry Needling technique through Kinetacore. He is also involved in the sports outreach program for area high schools which provides complete sports medicine coverage and is the co-coordinator of physician marketing as well as other referral programs. Jason is also trained in the Level 2 Therapeutic Dry Needling technique through Kinetacore. Jason is a member of the American Physical Therapy Association (APTA) and the Louisiana Physical Therapy Association (LPTA). He and his wife, Leigh, have 4 children and live in Baton Rouge, where he is very involved in the community and church activities. His interest in physical therapy began with personal experience from his sports related injuries while playing football as a defensive back at LSU in 1994. He believes in providing comprehensive care to allow people to return to their highest level of functioning in life with improved performance in work, sport, or leisure. 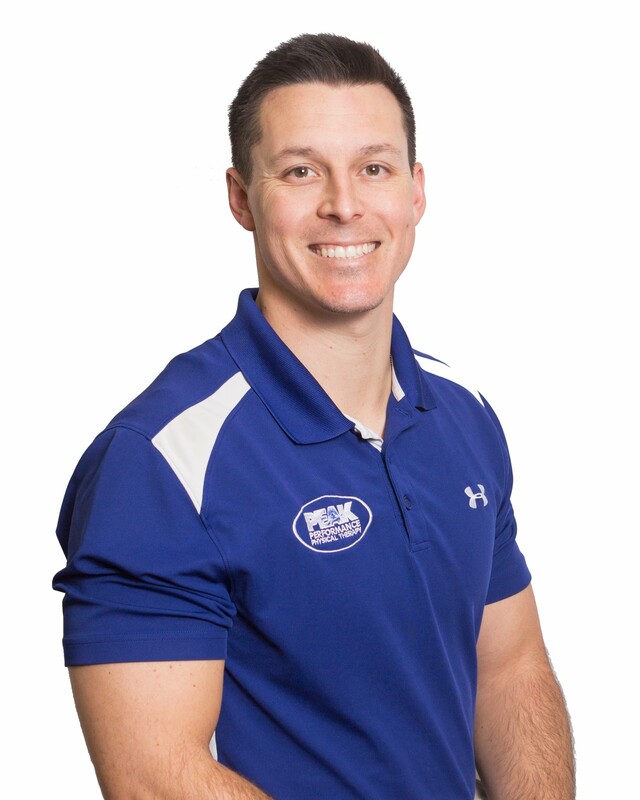 Patrick Cook, PT, OCS, FAAOMPT is a native of Mandeville, Louisiana and a graduate of Mandeville High School. He received his Bachelor of Science degree in Kinesiology from Louisiana State University in 2005. He received his Masters of Physical Therapy degree from LSU Health Science Center in New Orleans, Louisiana in 2007. In 2010, he became Board Certified in Orthopaedic Physical Therapy through the American Board of Orthopaedic Specialties. For advanced clinical training, he completed a fellowship in Orthopaedic Manual Physical Therapy through Regis University in Denver, CO from 2014-2015. In 2015 he was accepted as a fellow by the American Academy of Orthopaedic Manual Physical Therapists. Patrick's primary interests are in orthopedics, manual therapy, spine injuries, and sports rehabilitation, particularly hip labral pathology. With his background in strength and conditioning on the LSU Strength staff prior to attending PT school, he is always focused on progressing patients to return to competition, getting them Stronger, Faster, and Better. 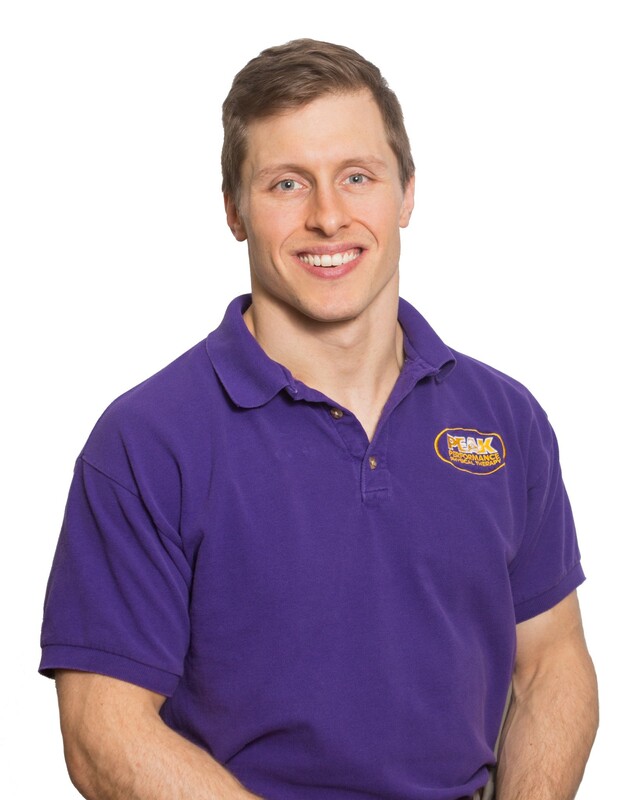 Patrick's treatment approach is individual for each patient but usually focuses on advanced therapeutic and functional exercises, as well as manual therapy, including manipulation, dry needling, ASTYM, joint mobilization, and myofascial techniques. Patrick is a member of the American Physical Therapy Association (APTA) and the Louisiana Physical Therapy Association (LPTA). From 2014-2015 he served on the advisory committee to the Louisiana Physical Therapy Board (LPTB). He was appointed as a member of the Louisiana Physical Therapy board by Governor Bobby Jindal in September 2015 for a three year term. Patrick was later appointed Board Chairman by his fellow board members in September 2017. Kevin (Jonathan) Kearney, PT, DPT is a native of Baton Rouge, Louisiana and a graduate of Parkview Baptist High School. He received his Bachelor of Science degree in Kinesiology from Louisiana State University in 2010. He received his Doctorate of Physical Therapy degree from the University of St. Augustine for Health Sciences in St. Augustine, Florida in 2013. He joined the Peak Performance team shortly after graduation and works at our Perkins Road location. Jonathan's primary interests are in orthopedics, manual therapy, spine injuries/rehabilitation/stabilization, and sports rehabilitation. He has also been trained in a variety of advanced spine and extremity manual therapy, Jonathan is dedicated to utilizing a personalized, evidenced-based approach for his patients in order to help them achieve functional, recreational, and athletic goals. Jonathan is a member of the American Physical Therapy Association (APTA) and the Louisiana Physical Therapy Association (LPTA). He and his wife, Jessica, currently reside in Baton Rouge and enjoy running, working out, and community events with their church, the Chapel on the Campus. Luke Bunch, DPT grew up in Baton Rouge and Denham Springs and graduated from Denham Springs High School. He received his Bachelor of Science in Kinesiology from LSU Baton Rouge and his doctorate of Physical Therapy from the LSU Health Sciences Center in New Orleans. Luke's primary clinical interests are in orthopedics, manual therapy, and sports injury prevention and rehabilitation, and he beleives that every patient deserves an individualized approach to allow them to return to doing what they love without pain or limitation. Nicholas 'Nick' Cicero, IV, PT, DPT is a native of Torbert, Louisiana and a graduate of Catholic High School of Pointe Coupee. He received his Bachelor of Science Degree in Kinesiology from Louisiana State University in 2005. He received his doctorate of Physical Therapy degree from the University of St. Augustine for Health Sciences in St. Augustine, Florida in 2009. 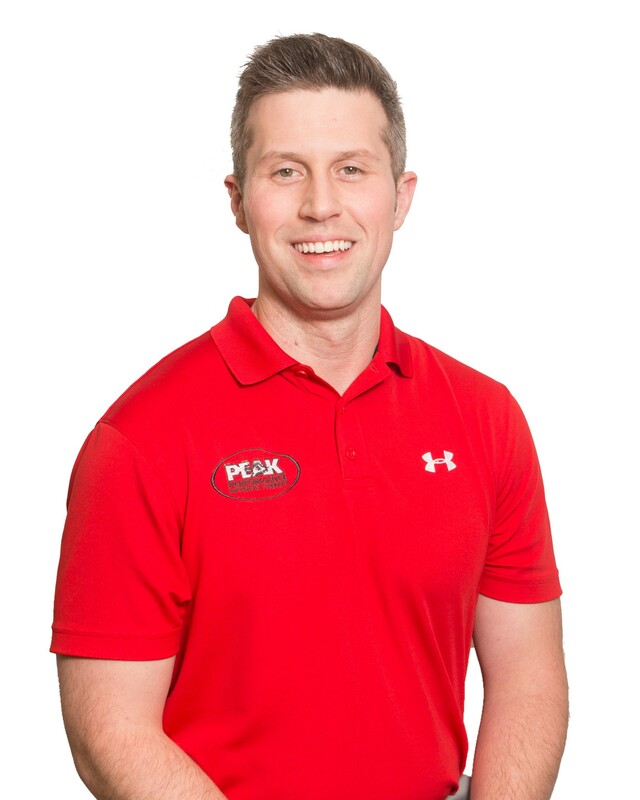 He joined the Peak Performance Team in 2012 and works at our clinic located in the Brusly/Port Allen Area. Nick's primary interests are in orthopedics, manual therapy, sports medicine, and spine injuries, while treating a wide spectrum of other conditions from all age groups. He has training in advance spine and extremity manual therapy and is trained in the Level 2 Therapeutic Dry Needling technique through Kinetacore. He is also a certified ASTYM system provider. Nick is a member of the american Physical Therapy Association (APTA) and the Louisiana Physical Therapy Association (LPTA). He and his wife, Jessica, have 2 sons and live in Brusly, Louisiana. His interests are spending time with his family, golfing, LSU athletics, and working out. 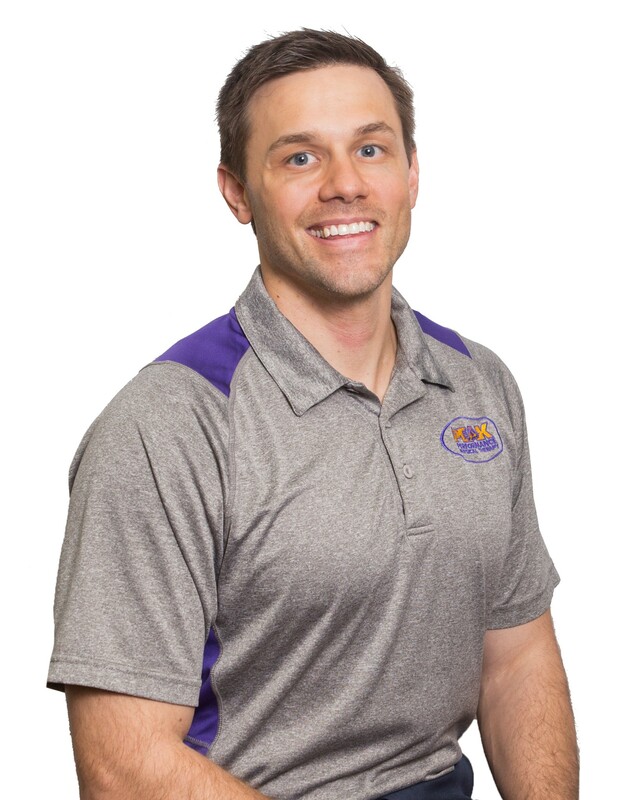 Steven Wilson, PT, DPT is a native of Denham Springs, Louisiana and a graduate of Denham Springs High School. He received his Bachelor of Science degree in Kinesiology from Louisiana State University in 2007. He received his Doctorate of Physical Therapy degree from LSU Health Science Center in New Orleans in 2010. He joined the Peak Performance team shortly after graduation and works at our clinic in Denham Springs. Steven’s primary interests are in orthopedics, sport-specific therapy, knee and shoulder rehabilitation, spinal stabilization and mobilization, as well and general strengthening and conditioning. He is a certified ASTYM system provider. He believes in taking a comprehensive and individualized approach to each of his patients, and is dedicated to returning his patients to sport, work, and life as quickly and as safely as possible. Steven is also trained in the Level 2 Therapeutic Dry Needling technique through Kinetacore. Benjamin (Ben) Wilson, PT, DPT hails from Denham Springs, Louisiana and graduated from Denham Springs High School. He received a Bachelor of Science degree in Kinesiology from Louisiana State University in 2002. He received his Master of Physical Therapy degree from LSU Health Sciences Center in New Orleans in 2004. Most recently, Ben received his Doctorate of Physical Therapy degree from the Evidence In Motion Institute of Health Professions. Ben is a certified practitioner of Trigger Point Dry Needling Levels I and II. He is also certified in administering Functional Capacity Evaluations (FCE) using the Blankenship System. Ben is a member of the American Physical therapy Association and Louisiana Physical Therapy Association. He and his wife, Claire, have two children and reside in Denham Springs. His interests include anything family and sports related. Alex Baronich, PT, DPT is a native of Baton Rouge, Louisiana and a graduate of Catholic High School. Alex received his Bachelor of Arts degree in Human Performance with a concentration in Exercise Science from Huntingdon College in Montgomery, Alabama in 2010. He received his Doctorate of Physical Therapy degree from Mercer University in Atlanta, Georgia in 2014. 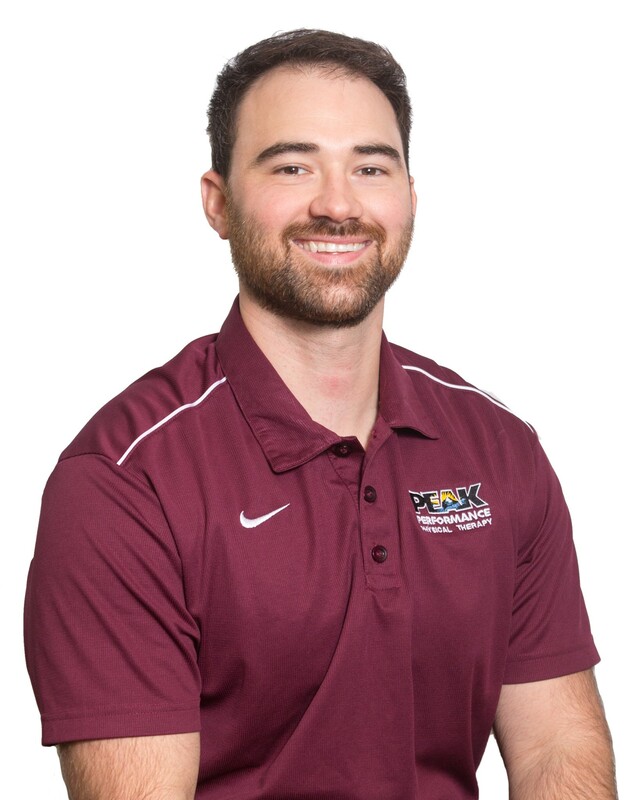 After practicing Physical Therapy in Montgomery, Alabama for 1 year, Alex returned to Baton Rouge to work in the same capacity with Peak Performance at the Industriplex clinic. Alex's interests are in orthopedic rehabilitation, manual therapy, as well as joint mobilization. He has completed training in advanced manual therapy techniques and is a certified ASTYM system provider. Alex is also trained in the Level 1 Therapeutic Dry Needling technique through Kinetacore. Alex is a member of the American Physical Therapy Association (APTA) and the Louisiana Physical Therapy Association (LPTA). His interest in Physical Therapy began after ankle injuries that he sustained while playing football in high school and college. Alex also enjoys outdoor activities, exercising and spending time with his family. Adam Roethele, PT, DPT is a native of Baton Rouge and a graduate of Parkview Baptist High School. He received his Bachelor of Science in Kinesiology from LSU in 2014. He received his Doctorate of Physical Therapy degree from the LSU Health Sciences Center in New Orleans in 2017. Adam's primary clinical interests are in orthopedics, manual therapy, and sports rehabilitation. He has had research presented at a national physical therapy conference and has had an abstract published in the Journal of Orthopedic and Sports Physical Therapy. Adam is committed to providing current, personalized, evidence-based treatments for his patients so they can both feel, and function, better. Adam is a member of the American Physical Therapy Association (APTA) and the Louisiana Physical Therapy Association (LPTA). He and his wife, Claire, reside in Baton Rouge and enjoy cooking, exercising, and traveling together. Josiah Eastman, PT, DPT, ATC was born and raised in Jennings, LA where he graduated from Jennings High School. He received his Bachelor of Science degree in Athletic Training, with a dual degree in Exercise Science, from McNeese State University in 2013. He earned his doctorate of Physical Therapy degree from the LSU Health Science Center in New Orleans in 2017. He has been credentialed through the national Board of Certification of Athletic Trainers, and certified as a Louisiana Athletic Trainer since 2013. Josiah enjoys treating a wide variety of injuries in both the general orthopedic and sports related populations. He uses evidence-based practice, rehabilitative exercise, sport specific training, manual therapy techniques, and aquatic therapy to tailor each patient's treatment program to fit their needs. His goal is to work with each individual patient to maximize performance in their work, sport, and life. A member of both the American Physical Therapy Association (APTA) and the Louisiana Physical Therapy Association (LPTA), Josiah lives in Prairieville with his wife and daughter. He is an avid outdoorsman and fan of Louisiana sports. Aaron Kelly, PTA is a native of Vidalia, LA. He graduated with an Associate's Degree in Physical Therapy Assisting (PTA) from Our Lady of the Lake College in 2015. He began his career as a PTA in a Skilled Nursing Facility working primarily with the geriatric population. 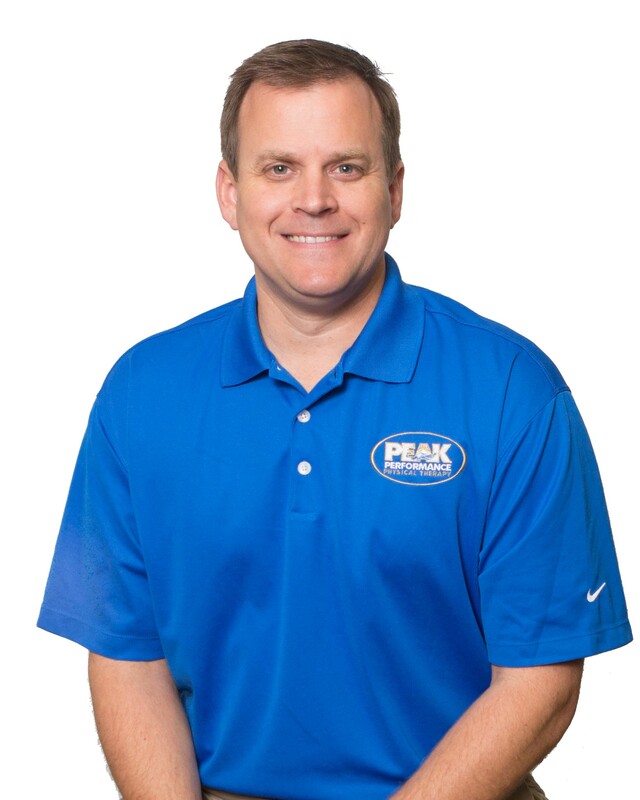 Aaron joined the Peak staff as a PTA in 2016 and is Level 1 Certified with Instrument Assisted Soft Tissue Mobilization techniques (IASTM). Aaron's favorite part of being a PTA is building relationships with patients and being able to assist them in reaching their rehab goals...mainly watching them return to the things they enjoy the most. Aaron currently resides in Holden with his wife, and enjoys playing music, being outdoors, and spending time with family. Fallon Cavalier, PTA is a native of Addis, LA and a graduate of Brusly High School. She has an Associate's Degree in Physical Therapist Assisting from Our Lady of the Lake College in Baton Rouge. 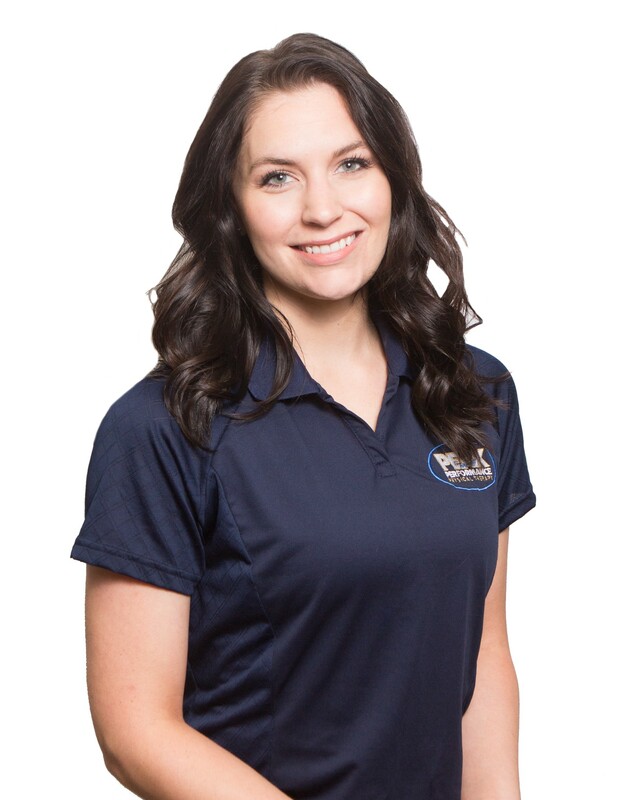 Fallon has completed a Level 1 Soft Tissue Manual Tool Certification and she enjoys helping patients at any age with orthopedic problems or balance training. Fallon resides in White Castle and enjoys traveling and spending time with her husband and family.